We put the HA in placent-HA! 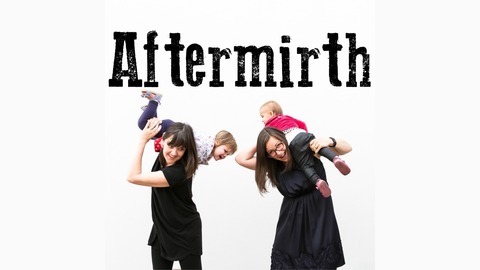 In case it isn't bleedingly obvious, Aftermirth is a podcast all about parenting, specifically about being a mother because the hosts, Kirsty and Chelsea, happen to be mothers. The podcast is for everyone - except children. This is definitely not for them. They're for entertainment value only. 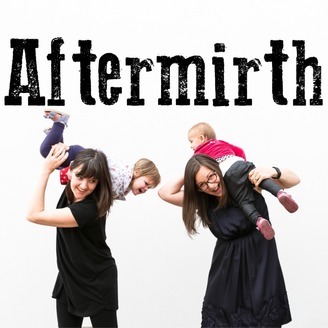 Aftermirth is back after a bit of a hiatus while Kirsty enjoyed (read: endured) an international holiday with her two cherubs. This episode is all about sleep... or lack thereof... Remember sleeping? What a grand time that was. With a good night's rest nothing but a distance memory, Kirsty and Chelsea spend nearly the entirety of episode 12 complaining about their children's complete disregard for catching or permitting others to enjoy a bit of shut-eye. Kirsty also recounts the "joys" of her recent international travels with her two non-compliant children.